From March 12th to March 16th, Ms. Stefania Lentinello, Program Officer of the Siracusa International Institute for Criminal Justice and Human Rights is coordinating the study visit of a delegation of seven representatives of the Tunisian Ministry of Justice to the Italian judiciary institutions in Rome. The study visit is organised together with Ms. Maria Laura Paesano, Prosecutor at the Italian Ministry of Justice and Ms. Olga Mignolo, Deputy Prosecutor at the Prosecutor’s Office of the Court of Cassation. The study visit is mainly aimed at fostering the knowledge in the administrative and financial management of the Italian courts. 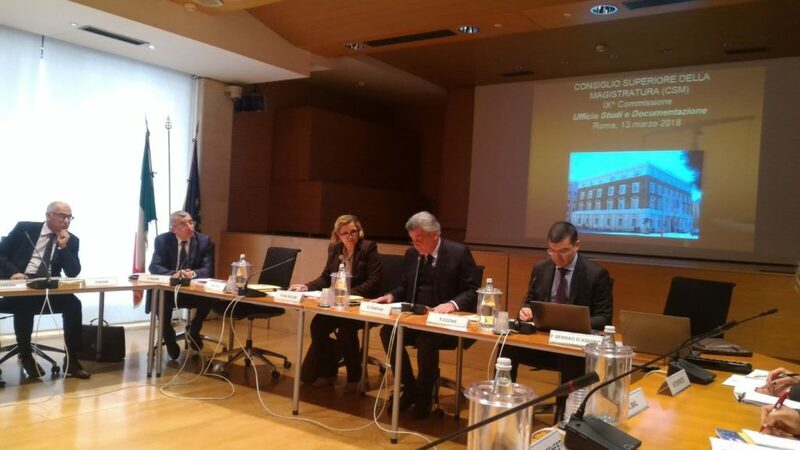 The agenda includes visits to the Italian Ministry of Justice and its Department of General Inspection, the High Judicial Council, the Court of Appeal and the Court of Cassation in Rome.